Lawsuit Cash Advances: What Are They and How Can They Help? Pursuing a lawsuit is difficult, but a lawsuit loan can help get you back on your feet. Given the fact a personal injury accident cannot be planned for, many victims find themselves in a financial crunch due to rising medical bills. Even worse, you might also be at risk of losing your job due to injuries sustained in the accident. The long time frames of personal injury lawsuits only compounds such issues. As time goes by, your financial woes can only get worse as the case keeps dragging on. Thankfully, lawsuit loans were designed to help individuals in such situations by providing a cash advance on the future proceeds of one’s monetary compensation. Additionally, lawsuit loans help struggling plaintiffs cover living expenses so that they’re not forced to settle their case prematurely and short of its actual-and-fair value. Lawsuit loan companies make cash advances on the promise of expected future court settlements. For many, a large sum of the amount of money may be needed for medical bills if you don’t have health insurance. The funds can be spent on just about anything the plaintiff sees fit, including daily expenses and mortgage payments. What happens if you lose your case? If you take out a pre settlement loan and lose your case, there is no obligation to repay. While lawsuit funding is commonly referred to as loans, they are actually non-recourse investments in your case. This translates into a completely risk-free transaction to the plaintiff, because the funder that provides you with the settlement loan assumes all of the risk. Due to this fact, not every case qualifies for a loan. You must have hired an attorney. An attorney must (and should) have been hired by the plaintiff at an agreed contingency fee. This means that the attorney has agreed to be paid when and if compensation is received for the injury. Having a lawyer by your side is imperative to winning max compensation (or any compensation, for that matter). You should make sure to hire a lawyer that is best suited to your needs. Find a lawyer that will be by your side throughout the whole process. Having a good lawyer can substantially increase the amount of money that your lawsuit can recover, which would also increase the lawsuit loan amount you can qualify for. Your case must be strong. Cases with clear liability and damages are a must. The party being sued must have a sizeable insurance policy or ability to pay. My Lawsuit Loan must feel confident in your case before providing you with a lawsuit loan. Your attorney must agree and sign-off on the terms and conditions set forth by My Lawsuit Loan’s agreement. If you encounter a legal funding company that does not require the involvement of an attorney when finalizing a deal, you should avoid this funding company at all cost. Your attorney often has your best interest in mind and can help you navigate this process so that you get a lawsuit loan that is right for you. My Lawsuit Loans will only be able to invest in your case if there’s a high likelihood that the case will settle, and the investment will be paid back. This is due to the fact that you are not expected to repay should you lose your case. This is what makes pre-settlement funding a non-recourse investment and not a loan. Such a structure benefits the plaintiff greatly by granting a completely risk-free transaction. My Lawsuit Loans, like other companies in the industry, determines the amount of funding you qualify for based on the monetary value of your case. That is why we take a holistic view of each case to estimate likelihood and value of monetary awards. The amount of interest varies depending on amount of funding, period of time before settlement, quality of the case and other factors. 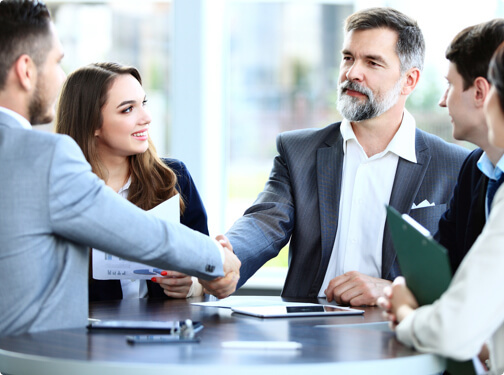 By providing you with a settlement loan, My Lawsuit Loan will help relieve some of the financial pressure that may be resulting from your lawsuit. The defendants often have deep pockets and are in no hurry to settle or make payments to you. Meanwhile, you may be struggling to make ends meet. To get started on getting a settlement loan, fill out My Lawsuit Loans’ [application] today or give us a call at  for a free consultation and to see if you qualify for a lawsuit loan. Our knowledgeable staff will be able to guide you through the process quickly and professionally. Getting lawsuit funding is easy. Apply today or give us a call.